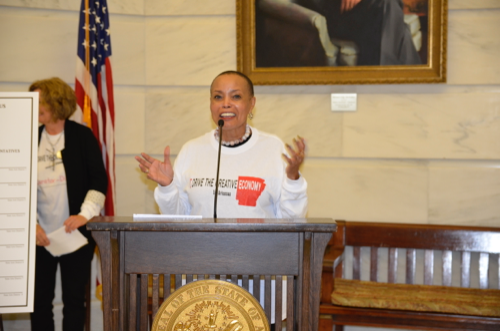 Thank you for your participation in Arkansans for the Arts’ first annual Arts Advocacy Day, held at the State Capitol. More than 353 advocates came to voice support of the Arts community as a leading job creator including patrons, organization leaders and business owners. We were honored to have Senator Joyce Elliot introduce the Legislative Arts Caucus. Legislators visited our 18 exhibitors and 8 disciplines represented. Arkansans for the Arts’s education committee organized an outstanding talent showcase which included more than 432 students and teachers from elementary, middle and high schools statewide. Their performances were the primary examples of arts education at work and how arts education continues developing creative thinkers of the future. Arts Advocacy Day exemplified how (8) arts disciplines integrate the workforce of (4) specific industries: health, education, agriculture and tourism. 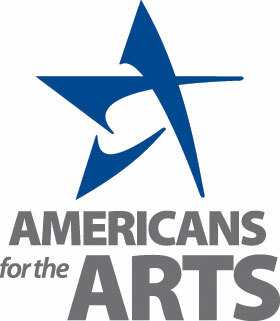 The arts and culture are the #3 leading job creator for Arkansas, generate state revenue in every corner of our state. Arts education is the baseline for Arkansas’s creative economy. We also provided advocacy training workshops in the areas of creative economy, arts education and grant opportunities led by Arkansans for the Arts board members and advisors. Speakers included: Dr. Lenore Shoults (The Arts & Science Center for SE Arkansas), Steve Holder (Vice President, ARftA), and Dr. Gayle Seymour (University of Central Arkansas). Networking was also a major part of Arts Advocacy Day and many artisans connected with each other and organizations. Please thank the Arkansas Legislative Arts Caucus's house and senate chairs from your district for their commitment to serve.